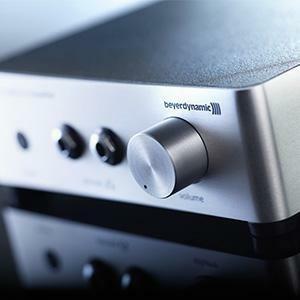 With the Beyerdynamic A20 Premium Headphone Amplifier you will rediscover your dynamic headphones. 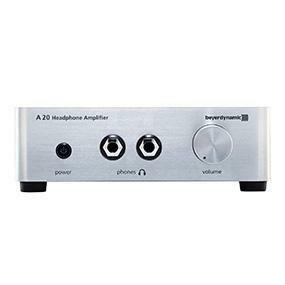 This headphone amplifier from beyerdynamic is perfect for all headphone applications and provides dual outputs for shared listening with a partner. 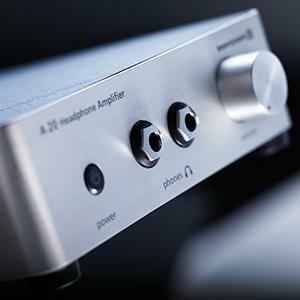 The circuit of the Beyerdynamic A20 is designed based on our legendary A 1 reference headphone amplifier. The discrete output stage provides plenty of power even for high-impedance headphones while the dynamic, open and precise sound sets the A 20 apart from what can be found in the normal output stages of regular amplifiers or receivers. This is confirmed by its first-class circuitry and excellent technical specifications that provide a balanced sound for long periods of comfortable listening. Whether on the desktop or in the living room, a good headset needs a suitable play partner in order to develop its full tonal potential. Conventional headphone outputs, such as on PCs or CD players, slow down the acoustic experience. 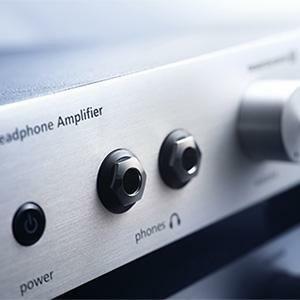 With a headphone amplifier, owners of high-quality headphones benefit from significantly increased dynamics and more control of the sound. The quality promise "Made in Germany" applies not only in product development but also in production: What beyerdynamic engineers and designers design in Heilbronn will later be hand-made by highly qualified employees in Germany. The high degree of manual production enables special quality standards. The tonal advantages are unmistakable, even top headphones benefit from the advantages of the A 20. Thanks to its linear and low-distortion circuit, you experience a significant increase in dynamics, openness and precision. The bass has noticeably more definition and substance, voices and instruments gain in naturalness and spatial staggering, heights sound less aggressive and are better resolved. For longevity and the best possible sound quality, only selected materials and components are used in the A 20. The A 20 has enough power reserves for the simultaneous operation of two headphones with up to 600 ohms impedance. Even high levels and dynamic peaks do not take the A 20 out of step. 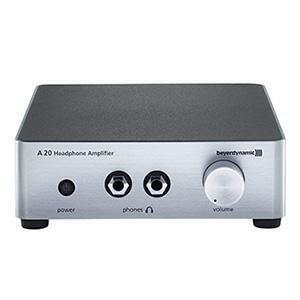 Made of brushed aluminum, the housing of the A 20 is particularly valuable and low-resonance. Due to the special mechanical structure, no screws can be seen on the visible surfaces. The original ALPS potentiometer for stepless volume control is operated via a knob made of solid aluminum. In short: an excellent and durable amplifier. Through a cinch input, the A 20 can be easily operated at any high-level source. The input is looped through so that audio signals present at the INPUT jacks are forwarded to the OUTPUT jacks lossless even when the power is turned off. Thanks to the two headphone jacks on the front, you can also listen to music with the A 20 in pairs.